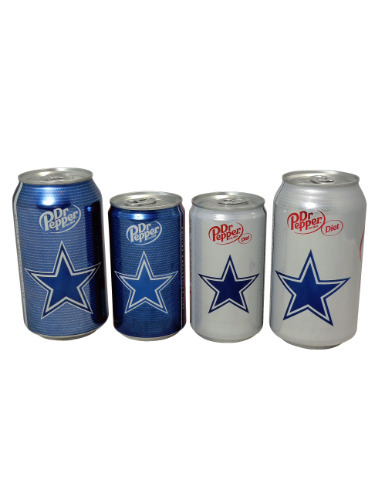 Dallas Cowboys Dr Pepper Ultimate Collector can set new for the 2017 - 2018 season. This set contains both a 12oz and 8oz version of the Dr Pepper can and Diet Dr Pepper can. Each can is full and in near mint to excellent condition.